Icon — derived from “eikon” in Greek — means image. 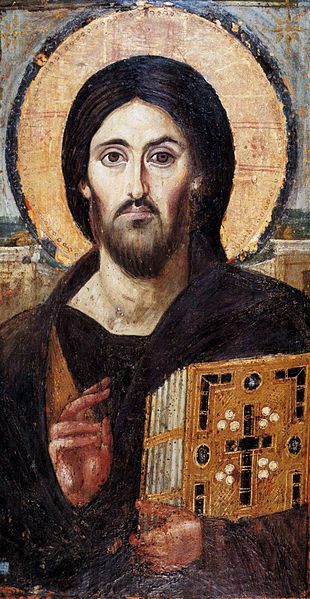 An icon is typically a painted image of a sacred person. Preparing and writing an icon is an experience of prayer for the writer. It is a right‐brain experience of touching and feeling what is holy ‐ a divine mystery. Icons are not simply art; they are a way into meditative and contemplative prayer and are therefore one way to let God speak to us. They are also a statement of faith of the community. You too are invited to be completely present to the icon and intentionally gazing upon it in silence and stillness. You are lead to a space of interaction between you and God. Gold: Radiant light of God and the splendour of the celestial kingdom where there is never any night. Gold symbolises the divine nature of God himself. Purple: Colour of the Celestial King and is often used for clothing of the Mother of God ‐ the Celestial Queen. Red: Heat, passion, love, life and life‐giving energy, the symbol of the resurrection ‐ the victory of life over death. It is also is the colour of blood and the colour of Christ’s sacrifice. Martyrs are depicted in red clothing on icons. White: The heavenly realm and God’s divine light. Colour of cleanliness, holiness and simplicity. Saints and righteous people are usually depicted clothed in white as righteous ones. Blue: Symbol of another everlasting world. Dark blue was considered the colour of the Mother of God who combines in herself both the terrestrial and celestial. Brown: Earth, dust, and all that is transient and perishable. Used in combination with the royal purple clothing of the Mother of God, this colour reminds us of her human nature. Black: Evil and death. In iconography, caves were painted with the colour black as a symbol of humankind’s grave. In some subjects this was also the colour of mystery. Christ carrying a scroll: represents a setting before the resurrection. It is a symbol of teaching. 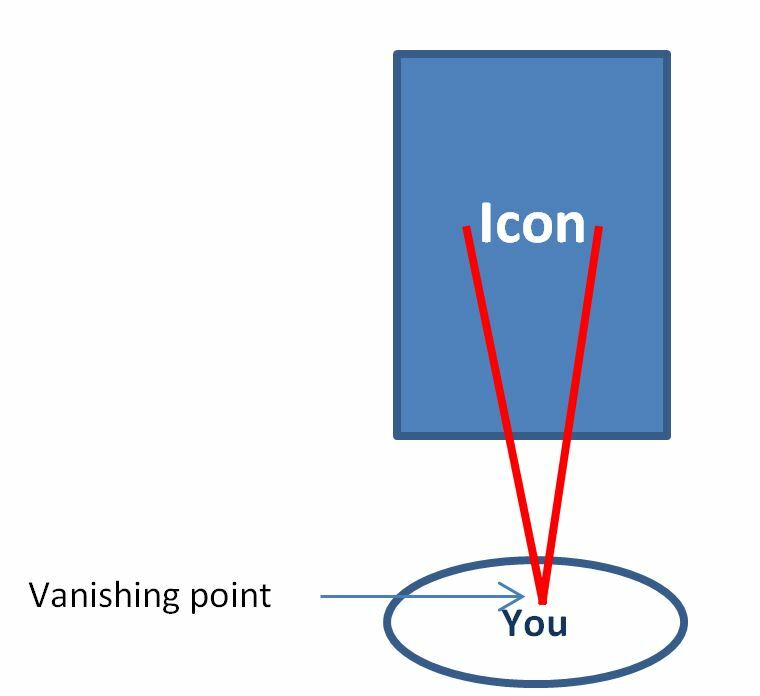 Icons use reverse perspective. In reverse perspective the vanishing point is not placed “within” the picture as in normal paintings. Rather, the vanishing point is placed outside the icon, at the site of the viewer with the lines of perspective expanding out from the viewer as one “enters” the world of the picture.